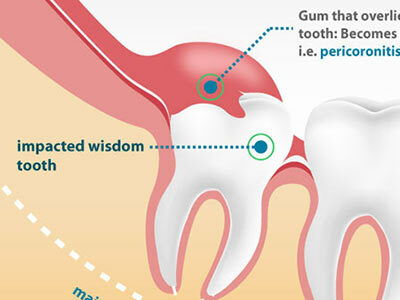 Gum disease affects most people at some time during their life. 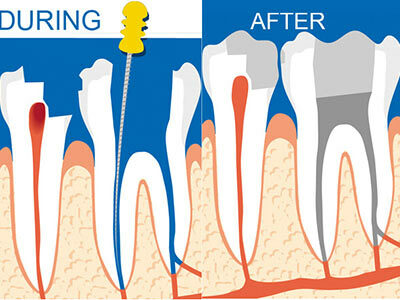 It is usually caused by a build-up of plaque on teeth. 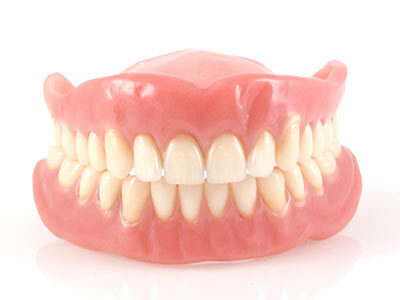 One of the common signs of gum disease is bleeding gums. 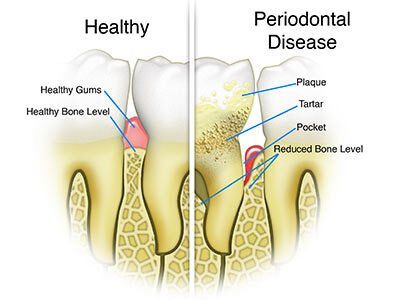 Different stages of gum disease are gingivitis and periodontitis. Getting treatment for dental problems early can help save teeth that are at risk from gum disease and other conditions. We only use white colour matched fillings at Banora Seaview. Composite resins are a synthetic resin with a filler, often silica. They are the material of choice especially as they have improved dramatically as a material since the mid 90's. 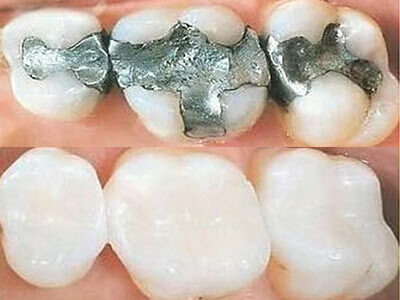 They are bonded to the tooth surface, and are a big improvement upon the old 'silver' or amalgam fillings. The image below shows some old, failing silver fillings, these need to be replaced and you can see the general improvement for yourself. *Offer valid for new patients first check up and clean only and existing patients that haven’t been in for an appointment for over 2 years conditions apply.